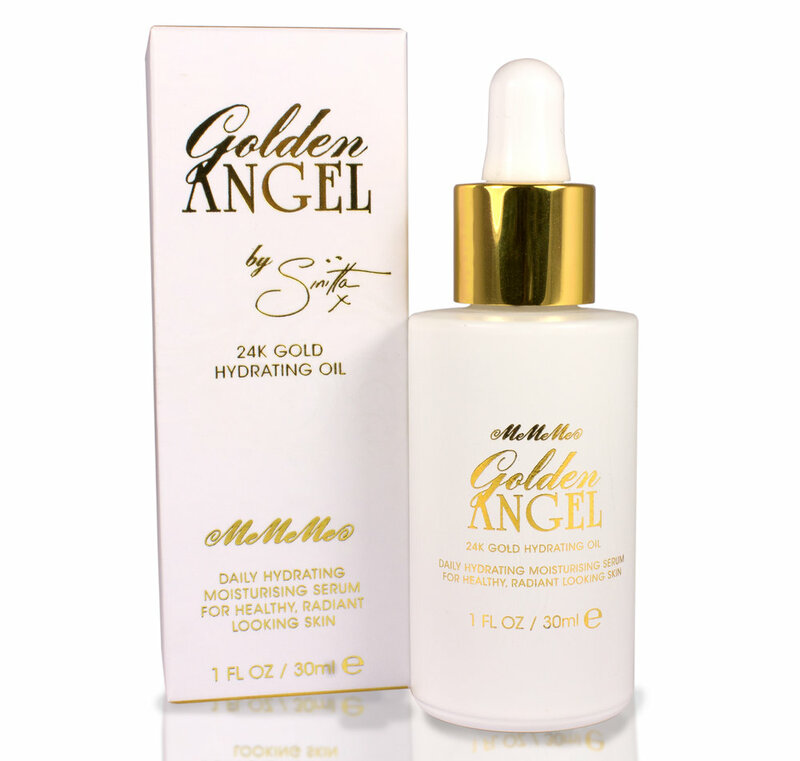 Our 24K Golden Angel Hydrating Oil is specially formulated to tackle dry skin, hyperpigmentation and fine lines on the face and lips. This radiance-boosting oil is a highly effective lightweight moisturiser which will leave your skin looking healthy, hydrated and flawlessly glowing. The 24K Golden Angel Oil makes for the perfect base as a primer or alternatively, it can be easily mixed with your favourite foundation or skincare product to boost hydration, radiance and luminosity. Our lightweight and fast-absorbing serum will leave skin looking plump and glowing! Kind to all complexions and skin types, it’s infused with lemongrass to give a beautiful citrus scent, the 24K Golden Angel Hydrating Oil miraculously revives the skin.